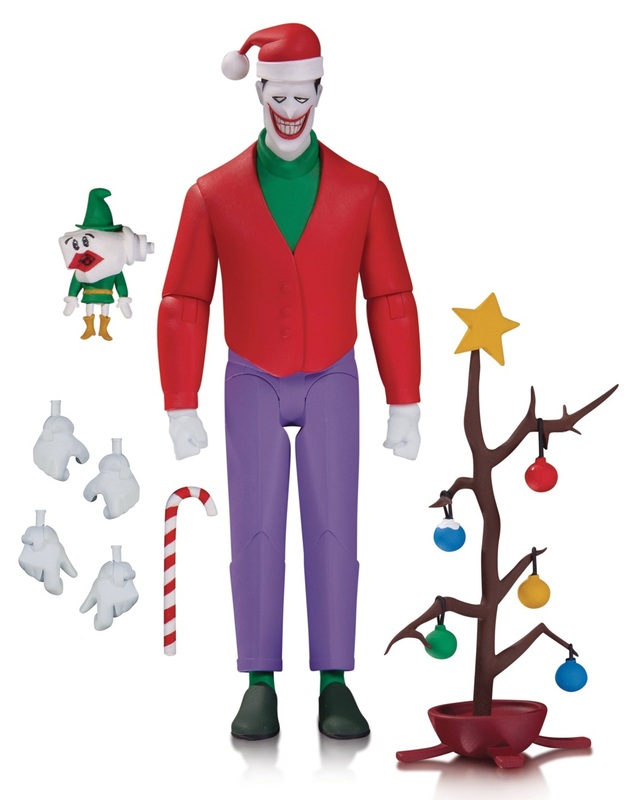 Along with his jolly red cap and sweater, this Christmas with The Joker 6” action figure comes with his feeble attempt at a festive Christmas tree and multiple sets of hands, including a killer hand puppet hand. But you probably shouldn't open any presents he gives you. Collectors can purchase this crazy figure now at Entertainment Earth for $23.99 here.